Kenny Florian is known throughout the Mixed Martial Arts world for his phenomenal endurance, skin-splitting elbows, and eloquent commentary. He is regarded as one of the best competitors to ever fight in the lightweight division of the UFC. However, if you ask Florian, the fame and fortune are just a bonus. His proudest accomplishment is opening his own gym and helping others to realize their potential in the art of Brazilian Jiu-Jitsu. Kenny’s athletic roots are in soccer, which he would play at Boston College though his enthusiasm for the sport began to wan in high school. Though soccer was his first love, he eventually found himself in a gym training in Brazilian Jiu-Jitsu (“BJJ”). This transition from soccer to BJJ, and mixed martial arts as a whole, transformed his life. In 2004, Dana White noticed Florian while scouting his opponent, Drew Fickett and offered Kenny a spot on the original Ultimate Fighter as a middleweight. Florian’s fighting style was clearly different from any other fighter at the time. He showcased an ability to quickly jump in and out of harm’s way as a middleweight who was surprisingly light on his feet. His gas tank never approached E, and his footwork was as remarkable as his razor elbows. These skills, Florian says, can be attributed to his time playing soccer. Though he was fighting above his best weight and pushing thirty years old, Florian performed extremely well, reaching the middleweight finals before losing to Diego Sanchez. Kenny’s obsession with full-contact competition, coupled with a black belt in Brazilian Jiu-Jitsu received from Roberto Maia, would lead Florian to success in the UFC. Twelve of his fourteen victories came via knockout or submission, including eight by way of rear naked choke. Florian is a top-level submission specialist, which would lead to three title fights in two different weight classes. However, Florian would lose each of these fights; two by decision and one via submission by BJ Penn. To this day, Florian considers Penn his most difficult opponent due to his strength and unmatched takedown defense. Following his most recent championship fight with Jose Aldo, Florian is still struggling with a herniated disc injured in training. If he can make a full recovery, Florian is convinced that there is a tremendous opportunity in the lightweight division. “I don’t think there’s any fighter (in that class) that’s head and shoulders above anybody as far as skill-level. I think it’s an even playing field.” If the injury persists, Florian will continue to run his gym and provide color commentary for the UFC. Florian has previously appeared on MMA Live on ESPN and UFC Tonight on Fuel. There is no question that with his eloquence and knowledge of the sport that his success will continue in the broadcasting profession. In discussing the future of MMA, Florian is optimistic and does not anticipate huge changes. He expects the talent gaps to shrink, improved officiating and judging, and small rule alterations. Interestingly, Floran recognizes the need for a competing company in the future. He states that “Not every fighter can fight in the UFC. Period.” While Florian sees the UFC as the major leagues, there needs to be a talent pool for them to draw from. Whether that is a company such as Bellator Fighting Championships or a start-up remains to be seen. 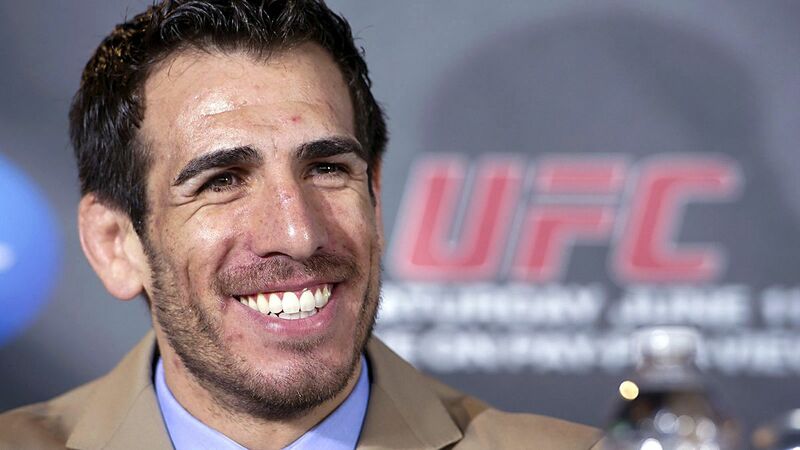 While the title is still the driving force in Kenny Florian’s career, he would be content to be remembered as someone who has given his life to the sport. Whether Ken-Flo realizes it or not, this legacy has already been cemented. Inside the MMA community, the name Florian stands for an incredible work ethic, undying persistence and an unparalleled dedication to improving the sport of mixed martial arts. Though Florian reached both professional and financial success through the UFC, his dream was truly fulfilled when he founded the Florian Martial Arts Center, with his brother Keith, in the heart of Boston. The majority of his students are just regular people though there is a very small minority with professional mixed martial arts aspirations. Regardless of skill level, the Florians provide a comfortable atmosphere for the people at his gym and treat them as family. The instructors understand that the best technique today will not necessarily be the best tomorrow. This constant adaptation to their methods offers students the most efficient and current teachings possible. Florian encourages his students to develop their game in their own way. In fact, there have been times where students developed a technique and done the teaching to the rest of the team. It’s this type of back and forth between the students and instructors that makes the Florian Martial Arts Center special.